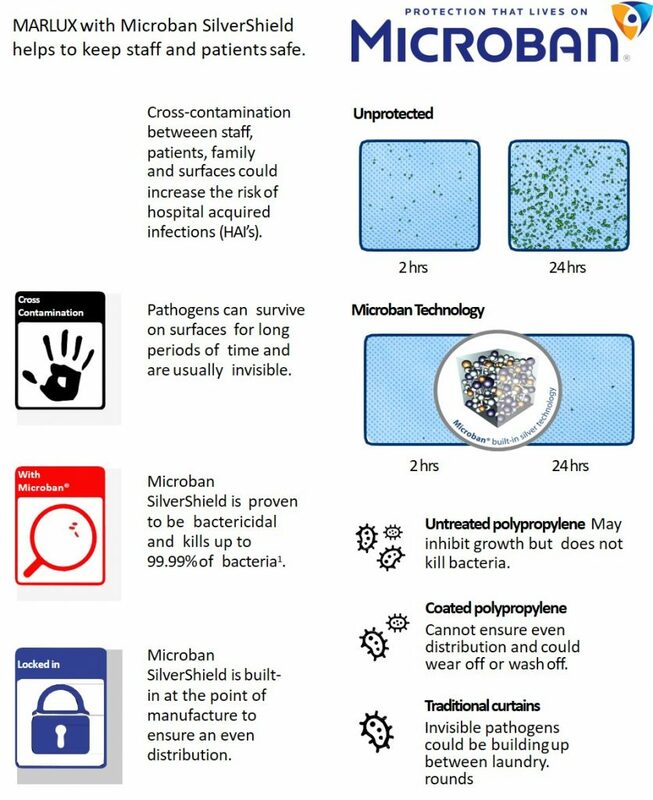 Within healthcare environments, pathogens can survive on surfaces for long periods of time, which can lead to cross-contamination between staff, patients & their relatives, increasing the risk of hospital-acquired infections (HAIs). 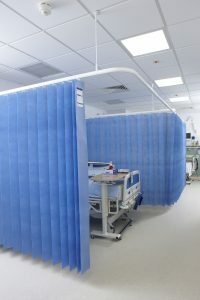 Engineered to aid infection prevention with built-in Microban® silver technology, SilverShield®, MARLUX Disposable Curtains provide superior antibacterial protection by preventing pathogens from surviving on the curtain’s surface, reducing the risk of HAIs. 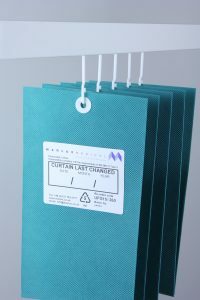 Where others may offer curtains layered in antibacterial coatings, Microban’s advanced SilverShield™ Technology is built-in to the material of each curtain at the point of manufacture to ensure an even distribution and long lasting protection. 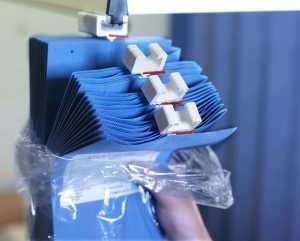 Microban’s SilverShield™ Technology destroys bacteria on textiles without sacrificing material durability or longevity by combining the natural antibacterial power of silver with Duralink™, an innovative bonding system. 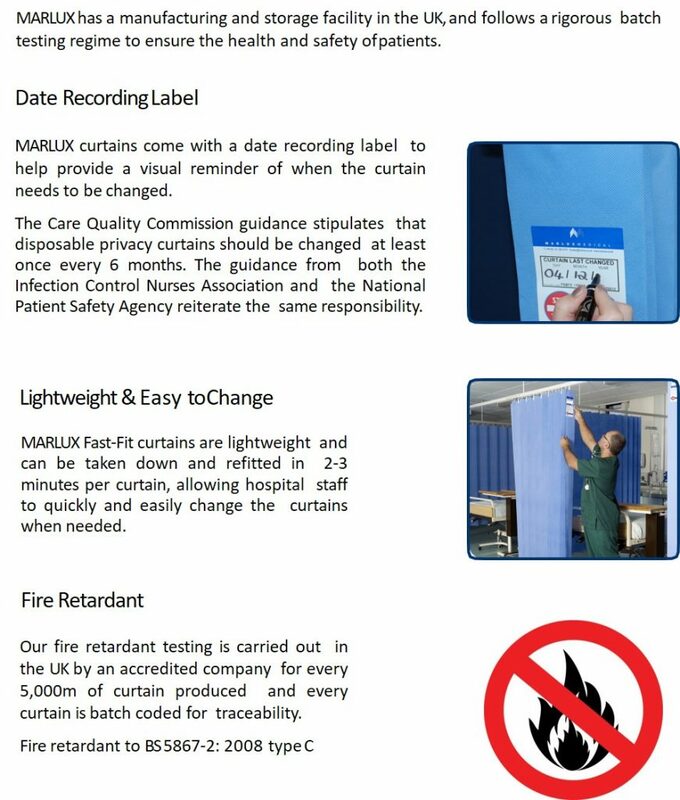 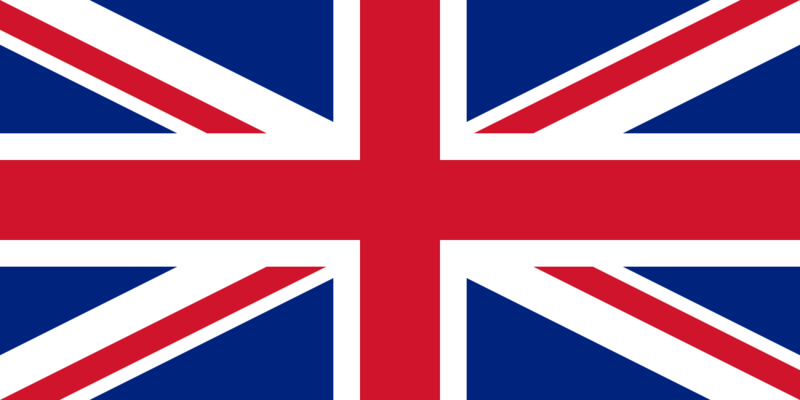 MARLUX disposable curtains are the number one choice for healthcare professionals across the globe for being lightweight and easy to change. 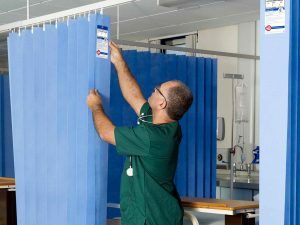 FastFit Curtains can be removed and refitted in 2-3 minutes per curtain, allowing hospital staff to change curtains efficiently when needed. 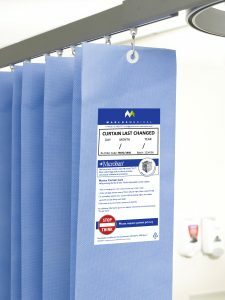 In addition to being easy to use, MARLUX curtains come in standard lengths but can be custom cut to adapt to any space within the hospital. 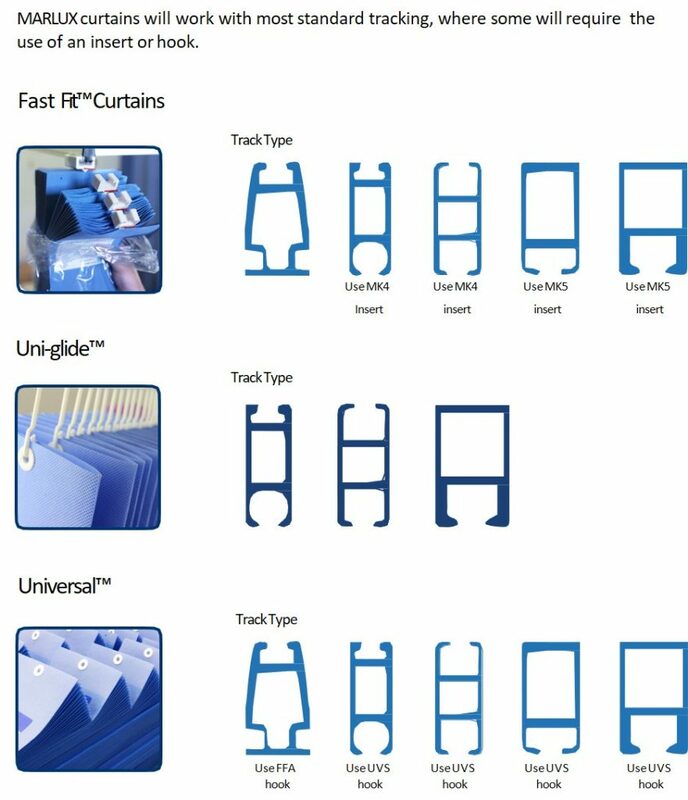 MARLUX curtains come in three different styles with the FastFit being the most popular choice. 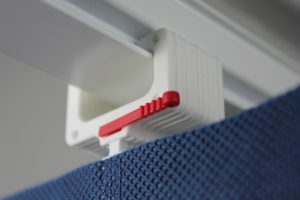 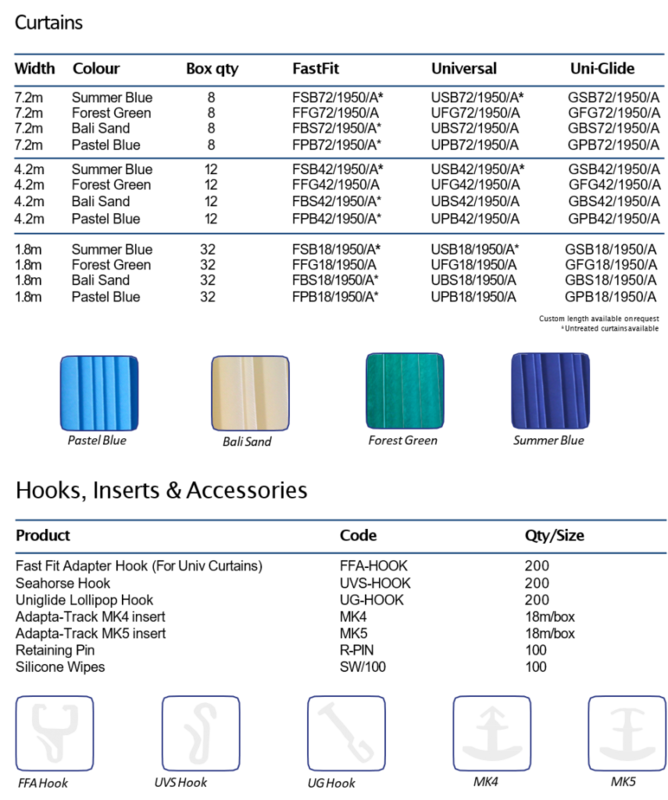 The FastFit Curtains work with the Fast-Fit Tracking or with Adapta-Track inserts (to convert the tracking), compared to the Universal™ and Uni-Glide™ which use hooks to connect to traditional tracking types.